Dance Fever Studios is a top NYC dance studios with two New York City locations. We are experts in salsa dance, Latin dance, ballroom dance, bachata dance, swing dance, Argentine tango, hustle, wedding choreography, sweet 16 dance lessons, quinceanera dance lessons and more. Group dance classes and private dance lessons in NYC at Dance Fever Studios daily. All levels. From beginner dance classes to advanced dance classes. Meet new people and make new friends with dance classes at Dance Fever Studios two New York City dance schools. No experience or partner needed. Couple dancing is fun, creative and a great way to get in shape and stay in shape. See more at http://www.dancefeverstudios.com or call 718 637-3216 to get started today. Let our friendly and professional dance instructors teach you the art and skill of how to salsa dance, tango dance, ballroom dance, swing dance, bachata dance, Latin dance and more. No experience or partner needed. Beginner are our specialty. Stop sitting on the sidelines and start dancing at Dance Fever Studios. 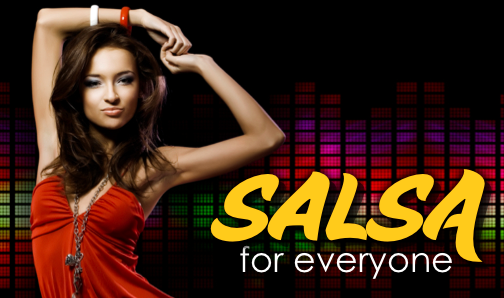 Free Salsa and Latin dance classes on Saturday nights.